The clustering illusion (or the Law of small numbers) is the tendency to perceive patterns in random distributions to be non-random. 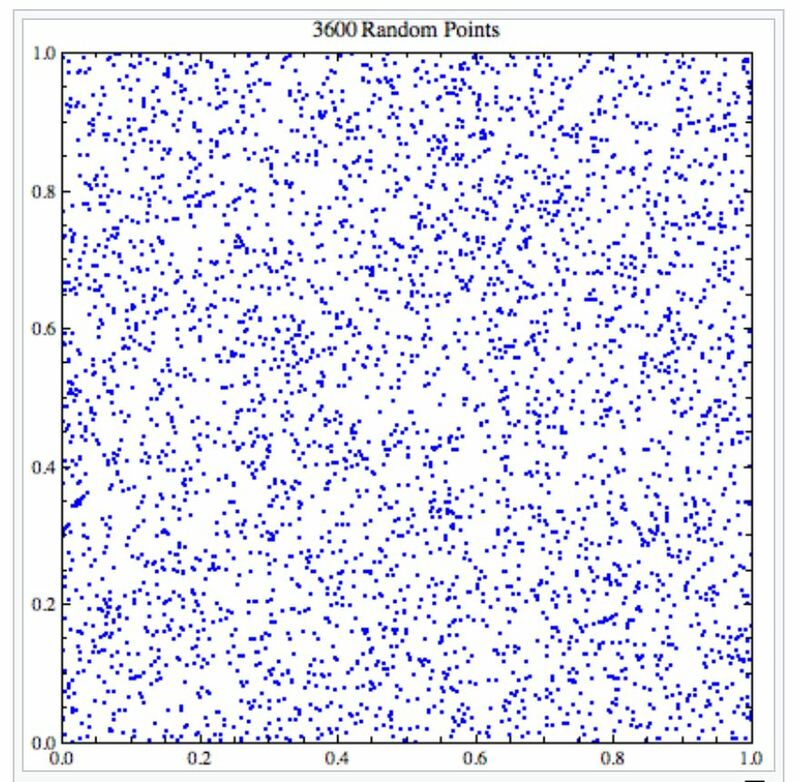 This is due to the expectation that random events appear more regular or uniform than is actually the case and so “clusters” arising from small samples (see post on Law of small numbers) or semi-random data are assumed not to be the result of chance. People are naturally pattern-seeking because it helps speed up the process recognising people and things. This makes us prone to two types of errors. Firstly, Type I errors (false positive) when we perceive a pattern is real when it’s not. Secondly, a Type II error (false negative) where we don’t believe a pattern is real when it is. Evolutionary psychologists suggest that we have default setting of always seeing meaningful patterns because this helped protect us from danger and improved our chances of survival. This helps prevents us from making Type II errors. This means that we are predisposed to invent causes for things we can’t explain. This is why we love stories of any kind as our brains are attracted to explication and resolution. Gamblers are especially prone to this as they think it will help them beat the system. We often see patterns where there is none and this can lead to disastrous decisions. There have been extensive research studies into many types of clusters relating to cancer, academic achievement by size of school, stock market price fluctuations over time and even V-2 rocket impacts in London during World War II. 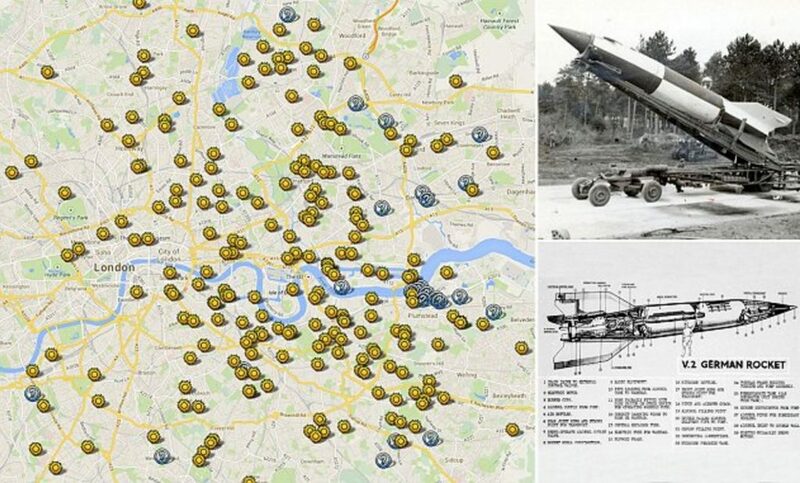 Many Londoners perceived there to be a pattern to V-2 rocket impacts during WW2. However, a statistical analysis by R.D Clarke published in 1946 indicated V-2 rocket impact sites were a close fit to a random distribution. In basketball there is a belief in the “hot hand” of players when they are in form. That is players have “hot streaks” and “cold streaks” according to form. Analysis of the Philadelphia 76ers shooters during the 1980-81 season failed to find that players hit or missed shots in clusters as predicted by the “hot hand” or “cold hand”. The research by Gilovich, Vallone and Tversky indicated that the clusters that did exist were no more than we would expect from chance and that the “hot hand” is a fallacy. However, more recent research using more advanced statistical analysis has found a small, but significant hot-hand effect in basketball. In a 2014 paper three graduates at Harvard used statistics that for the first time were able to allow for such variables as the player’s shot location and a defender’s position. Further, some statisticians have argued that the original studies were flawed because they did not investigate the statistical power of their own experiments. Good user centred design employs patterns to communicate function and intent with clarity. For example don’t break with established web conventions as create patterns that help set user expectations. Use patterns to ensure consistency in your user experience as this will help navigation and decision making. Recognisable patterns reduce cognitive load as they assist with automatic decision-making and can have a persuasive influence on users. Develop an evidence-based approach to optimisation by establishing a structured approach to CRO. This requires the use of both qualitative and quantitative research and analysis to inform decision making. A/B and multivariate testing should be used to validate changes following rigorous analysis of user journeys. The clustering illusion is another example of how evolutionary pressures create false perceptions that need to be challenged by through critical thinking and rigorous analysis.